with my yarn stash that I left behind. 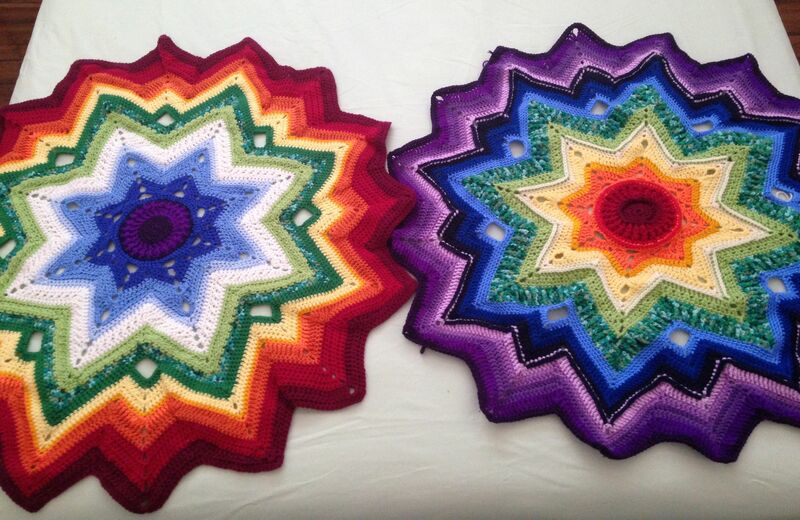 rainbow colours using yarn from my stash. 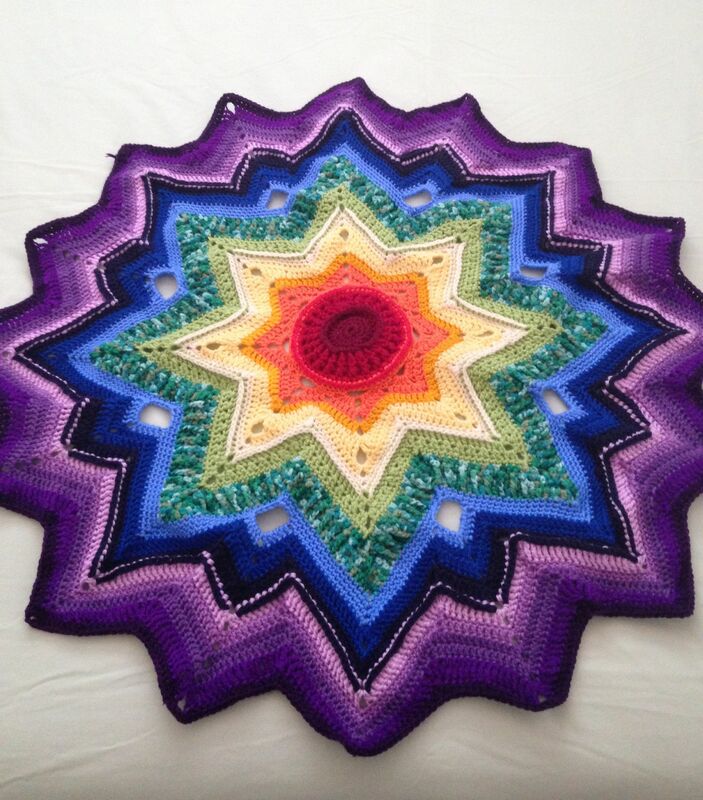 with red in the centre out to a purple border. Hello Jane .. Bet you're glad to be home and reunited with your stash. I like both your blankets but agree with you about the one you prefer. The purple centered one seems to radiate outwards which I like. I'm currently playing with 'cake' yarn but I'm not sure that I really like it. Must to a blog post soon - my last one was 9 months ago!